Louis van Gaal’s second season at the helm at Manchester United hasn’t gotten off to the greatest of starts. After four weeks of play, United have won two, drawn one and lost one, which isn’t really a problem in and of itself. However, it is the manner in which United have come out that kinda is. After four games, United’s league goal tally stands at three: they scored an own goal against Spurs, Adnan Januzaj had a goal at Villa, and Juan Mata scored in their loss at the Liberty Stadium. That’s not good, but that’s not the most pressing concern. To me, the most pressing concern with United is that they appear flat and boring, looking only to control games and not inflict any damage on the opposition. It seems that van Gaal’s aim is for his midfield to control the ball at all times. There’s no risk involved, which means that there most likely won’t be any reward. To be fair to van Gaal, he is right to worry. After all, in the game against Swansea, every time United – through Luke Shaw, mostly – ventured forward, they were burned on the counter. However, his tactics are stifling the attacking talent he has at his disposal. I won’t go a lot into that here since we have yet to see what LVG does with Anthony Martial, his new 36m striker from Monaco. It was recently revealed that senior members of Manchester United’s team (Wayne Rooney and Michael Carrick) voiced concerns over van Gaal’s coaching methods. They claim that the dressing room is flat and that the training regiment is very structured and rigid. Which kind of makes sense, because I think that Louis van Gaal is basically a college basketball coach. Of course, the old guys don’t like his coaching style. Of course they don’t like his rigid tactics. (Nor do they like his data guy, Max Reckers, telling them exactly where and how they messed up.) They’re used to expressing themselves, having a say in the matter, and despite what Louis may tell the media, that crap won’t fly with Louis (or at least it didn’t). Upon van Gaal’s appointment last year, his track record of giving academy players like Andres Iniesta and Thomas Müller their debuts was highly publicized. His father figure relationship with Memphis was characterized as a major factor in the Dutch winger’s decision to sign with Ed Woodward (for cheap!). Of course, on the other side of that coin is the fact that Louis doesn’t really usually see eye to eye with the established members of his respective team’s playing staff. He had run ins with Rivaldo. He feuded with Luca Toni. Just last year, his issues with Ángel di María (who wasn’t a veteran at United, but was still nonetheless a veteran player) were seen as the reason for the dip in the winger’s playing time and his eventual departure for Paris. Which brings me to Wayne Rooney. 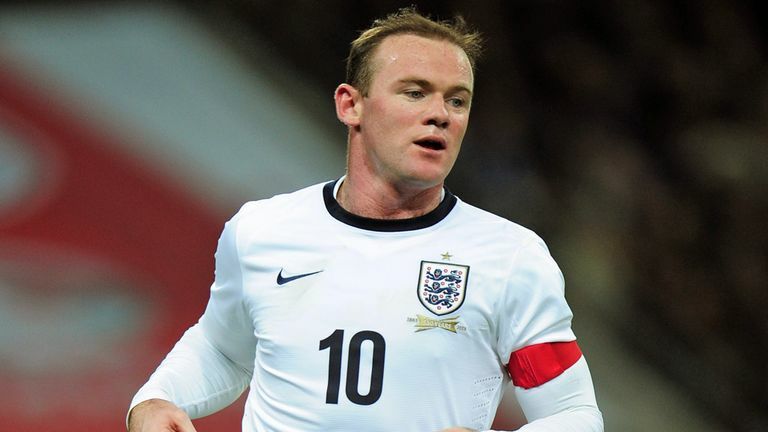 Since being made captain of both club and country two years ago, there’s a sense that Rooney has been pandered to at the expense of the teams he’s on. Admittedly, this is more pronounced at the national team since there are obviously better fits at his two favorite positions – striker and 10 – at the NT level, definitely more so than at United. As such, he’s been complacent, assured of always being guaranteed a starting spot. That, quite simply, was never, ever Louis’s modus operandi. Whether it’s because he’s mellowed out as he’s gotten older (highly unlikely) or he knows that he has no better options at the moment (remains to be seen with Martial), he’s been reluctant to drop Rooney from his squad. And that, ultimately, might be the thing that is holding and will continue to hold this United, van Gaal’s United, back. This entry was posted in English Premier League and tagged Anthony Martial, Juan Mata, Louis van Gaal, Manchester United, Michael Carrick, United, Van Gaal, Wayne Rooney. Bookmark the permalink.